Electronic manufacturers often rely on many different vendors and contractors to secure their materials, subassemblies, and other components to deliver their products to customers. At Levison Enterprises, we specialize in offering full-service electronic assembly at the highest possible levels of complexity, flexibility, and reliability. Our clients know they can count on us. While we offer printed circuit board and electronic component assemblies, some of our customers need more complex solutions. Electronic assembly, or systems integration projects, are one of our areas of expertise. We work closely with clients on our turn-key electronic assembly projects to ensure their projects perform reliably under the toughest conditions. What Goes into Our Electronic Assembly? Whether our clients provide their own designs or come to us for the initial design process, they can rest assured that Levison Enterprises takes their demands seriously in every project. Custom enclosure fabrication. Does your product need a specialized enclosure, or are you coming to Levison Enterprises for a unique enclosure design? We have state-of-the-art fabrication technologies at our disposal to provide exactly what you need for your products. Subassembly construction and installation. We can not only design, test, and build the subassemblies for your box builds, but install them, too. Cable and wire harness assembly and installation. Levison Enterprises specializes in modern cable and wire harness assembly. Electronic component assembly and installation. Need a specialized component for your electronic assembly? We offer custom component design and installation for any type of project. Exceptional quality control. We take quality control very seriously, so we can deliver functional, high-quality products for every customer order. We perform an extensive series of in-process quality control checks for every project to minimize the occurrence of final assembly failures. 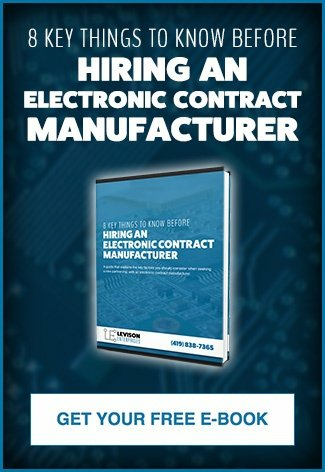 Many electronics manufacturers purchase their components and assemblies from multiple vendors but working with a single electronic contract manufacturer has significant benefits in terms of quality, flexibility, and cost. 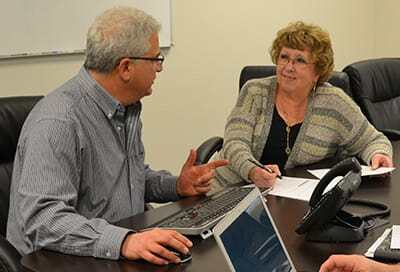 When you work with Levison Enterprises, you become a trusted partner. The only measure of our success is the success of our clients. Instead of purchasing components from different vendors, why not consolidate your entire electronic assembly to Levison Enterprises and enjoy the full range of our capabilities and experience? We are confident in our ability to deliver the highest quality electronic assembly for any project. How Does Choosing a Single Electronic Manufacturing Service Help Your Bottom Line? A single electronic manufacturing service will know your build from start to finish. You don’t have to waste time coordinating with different people at different locations. Levison Enterprises will assign a dedicated team member who will act as a sort of an in-house expert on your entire build. This increases efficiency in the build process because when one person oversees every step, they can address problems before they arise. One vendor providing the full turnkey electronic assembly can take advantage of efficiencies in moving from one step to another to deliver a better price. As your single source electronics manufacturer, Levison Enterprises knows your entire build and can provide packing and shipping solutions that are best for your project. Packaging is an integral part of the project but is often overlooked or given low priority. 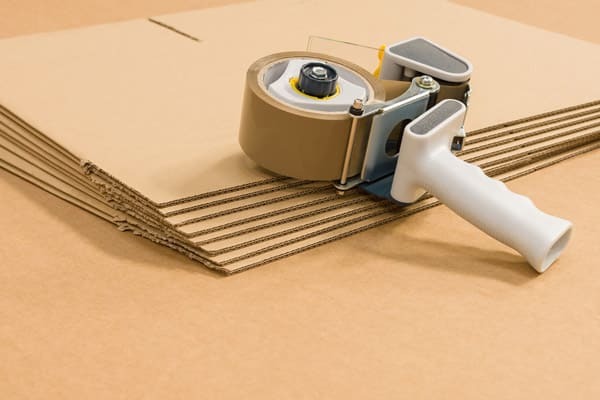 Getting the right packaging materials is important for safe delivery. If you ship to other countries, an electronic manufacturing service familiar with the international process and knows your shipping logistics can save you money and avoid headaches. With multiple hands in your build, there could be potential downtime while we wait for parts or other stages of the project to be completed. By having your project completed with a single electronic contact manufacturer like Levison Enterprises, you can rest assured that your project will be completed in the most efficient manner possible, saving you time and money in shipping and production delays. Levison Enterprises has the experience and facilities to be your single source turnkey electronic assembly solution. Our ISO 9001 and AS9100 certification lets you know that Levison Enterprises’ quality control and auditing processes are at the highest level. You can be certain of a functional, reliable turnkey electronic assembly of any level of complexity and customization. If you have questions about the advantages of a single source electronic contract manufacturer, reach out to Levison Enterprises. We look forward to showing you what we can do to streamline your next project.